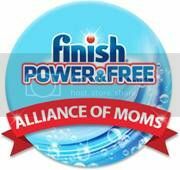 I was recently asked to join the Finish Power & Free Alliance of Moms which is a network that explores a new product line, Finish Power & Free, featuring less harsh chemical formulas, without sacrificing the power of Finish results – a win for even the tiniest members of your family! If you've been reading this blog for any duration of time, you know that the tiniest member of my family is basically my everything, so I was on board. I am a busy full-time Marketing Coordinator and full-time mom who does the majority of the in-house work (not to discredit my main squeeze, but he does the things I don't want to do (like yard work) and I do what he doesn't want to (like laundry and dishes)). 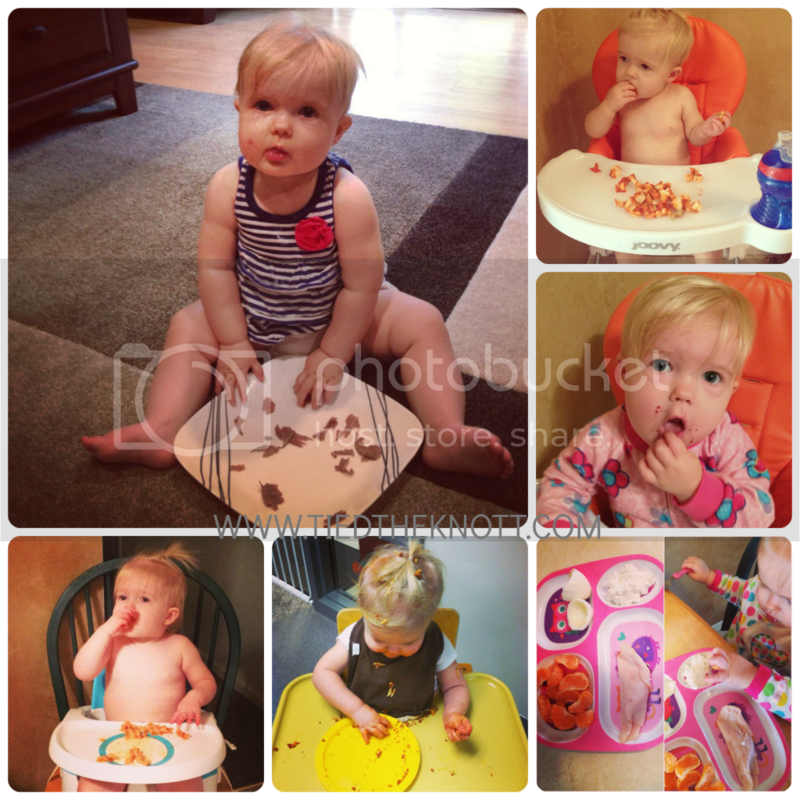 When I was approached by Finish, I asked myself: What can I do to SIMPLY keep harsh chemicals away from my baby? Switch to Finish® Quantum. You all know that I am doing my best to change my lifestyle. I had a New Years resolution to run 1,000 miles in 2014 (progress report to come) but the resolution wasn't simply for running. It was to lead a better, healthier lifestyle. Not only for me, but for my whole family. Finish® Quantum is helping me to achieve this resolution. Now that I have this little tyrant running around making my life a million times more busy exciting than it was before, I also seem to have more dishes (and laundry and general cleaning chores) to do. And let me tell you, we go through a LOT of dishes. Funny how that works, right? Someone so small can increase your daily chores so much... just baffling. In any case, dishes are no longer on my "chore" list. Yes, they're still a to-do, but it's a feel-good to-do that I actually enjoy doing now because I see amazing results. The best part of these results, apart from the spot-free appearance of my dishes? The knowledge that I am doing my part to reduce the number of harsh chemicals that my child is exposed to. It really is a simple, satisfying, and effective transition. I was sent a few packages of Quantum™ Power & Free™ to try and quite honestly, I was a little skeptical because sometimes when you hear that something has less harsh chemical formulas, you automatically assume they are less effective than they were when they included the harsh chemicals. In this case, that is untrue. 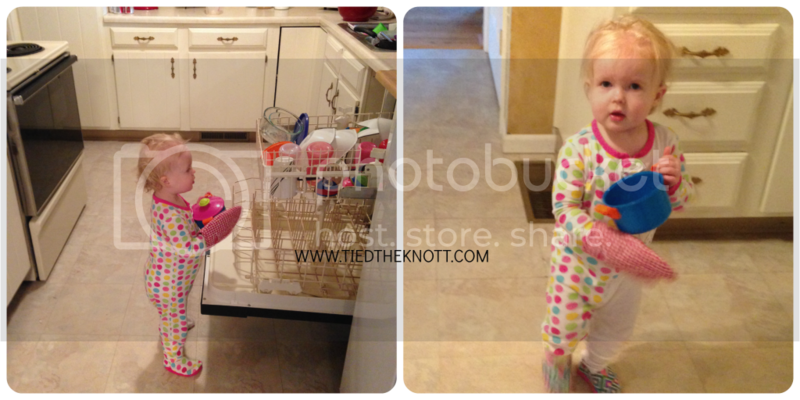 My dishes come out of the dishwasher clean and spot-free! I am confident that the dishes that my family eats off of/drinks out of are clean. Quantum™ Power & Free™ is an effective and healthier alternative. This may seem like a silly topic that not many people feel the need to discuss, but as moms I feel that it is our responsibility to support our children in any way possible, including the things we choose to (or in this case, not to) expose them to. I have made the switch to Quantum™ Power & Free™ and encourage you to do the same. You can help put Finish Power & Free to the #FinishMoms test! Share the news of a "less harsh chemical formulas" dishwashing product and help us #CleanItForward!! Stay tuned for some AWESOME giveaways from the Finish Power & Free Alliance of Moms!!! What is special about the Power & Free products products? chemicals than the regular Quantum formula. Finish® is the #1 recommended dishwasher brand worldwide and has been a leading dishwashing product pioneer for the past 60 years. The brand is continuously innovating and testing its products to ensure families ultimate clean and amazing shine. This commitment has made Finish’s products recommended by more brands than any other dishwashing brand. The brand’s wide range of products meet anyone’s dishwashing needs. Finish® Quantum was recently voted a Better Homes & Gardens Best New Dishwasher Detergent of 2013 by consumers. The product was also voted Product of the Year in the Dishwashing Detergent Category based on the 2013 BrandSpark/BHG American Shopper Study. This January 2014, Finish® released a new line featuring less harsh chemical formulas. The products include Quantum® Power & Free™, Powerball® Power & Free™ and Jet-Dry® Power & Free™. Just signed up for my free sample, I knew it was good idea!